1 – 15 Castle Place is a four storey retail arcade with frontage at Lombard Street and Rosemary Street. From 1876 until 1988 the site was occupied by a five storey commercial building designed by William Hastings for John Robb & Company. Robb’s originally traded from no.15 in 1861 but expanded to no.11 by 1870 and by 1890 the department store occupied no.1 – 15 Castle Place. Robb’s was acquired by the London combine Great Universal Stores in 1951 and closed in 1973. The building was sub-divided into smaller retail units at ground floor with office space above. In 1986 Great Universal Stores submitted a planning application proposing to demolish the existing building and develop a three storey retail arcade. The building had been listed in June 1979 but following de-listing in March 1989 permission was granted and the building was demolished in 1988. The replacement retail arcade known as ‘Donegall Arcade’ was built 1989 – 1990. The 54,000ft2 arcade ran from Castle Place to Rosemary Street. The Arcade was purchased for £8.5m during late 1997 / early 1998. Jermon Developments purchased Donegall Arcade for £26m in January 2005 and announced plans for redevelopment of the arcade. Proposals comprised a 40,000ft2 extension over two storeys at the Castle Place entrance and a 35,800ft2 extension over four floors at the Rosemary Street entrance. Jermon also proposed to rename the arcade ‘The Gallery’. Demolition of the Rosemary Street section of the arcade began in late 2007 and construction of a four storey replacement building, connected to the original arcade at Castle Place, began in early 2008. 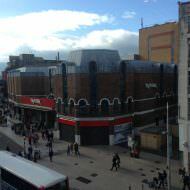 Construction was completed by the beginning of 2009 and a c30,000ft2 TK Maxx store opened in April 2009. Jermon Developments entered into administration in 2011 and NAMA took control of Donegall Arcade. Control of the arcade passed to Cerberus after the investment firm purchased NAMA’s Northern Ireland property portfolio in 2014. 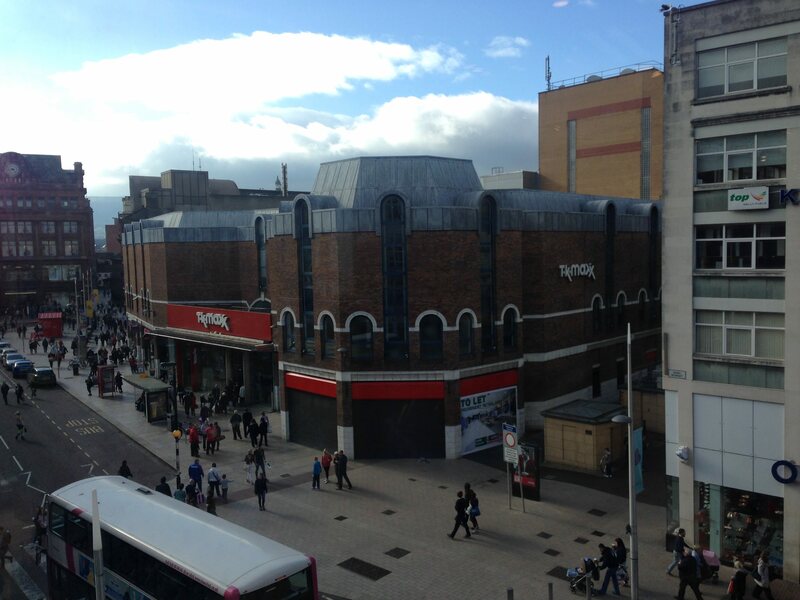 The arcade’s current tenants comprise TK Maxx, HMV, Game and Shurobody. There is currently one vacant unit, previously occupied by Currys (closed February 2015), that is being offered to let at £235,000 P/A by joint agents CBRE, Lisney and Cushman & Wakefield. The unit meaures 6,020ft2 at ground floor and 5,293ft2 at first floor. Sports Direct purchased Donegall Arcade in November 2015 and will open a Sports Direct retail outlet in the former Currys unit during late 2016. Lambert Smith Hampton represented Sports Direct and the sale price is undisclosed.